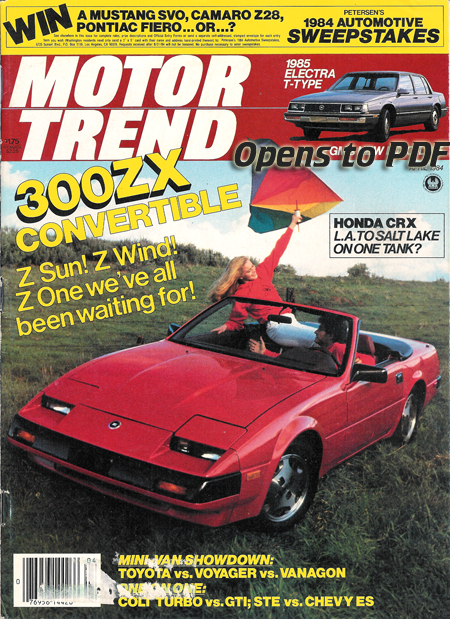 Approximately 352 2 seater Z31 model 300ZX cars were converted during the 1980s by R. Straman Company. The total cost was an additional $6,000 to $8,000 on top of the price of the car. This "option" was available through a number of dealerships mostly located in California. 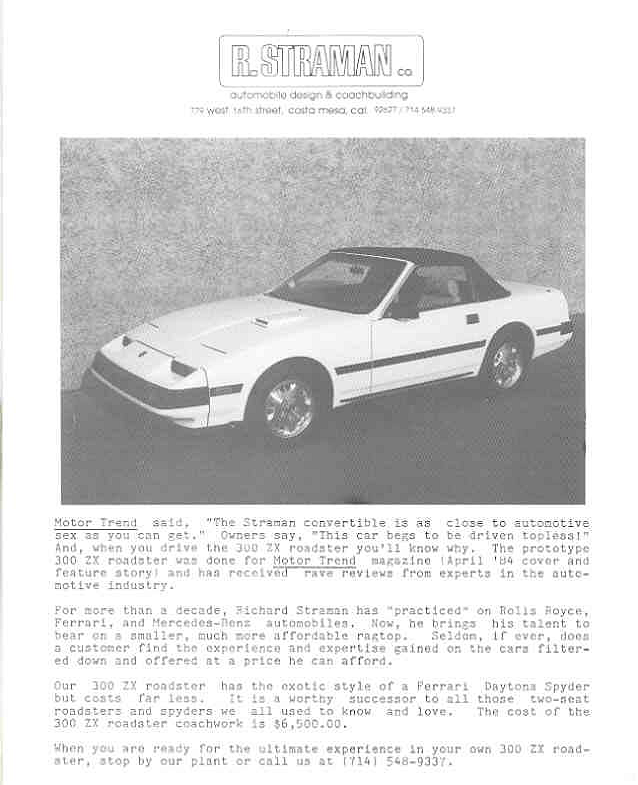 R. Straman Co. would convert any 2 seater, turbo or not. The tops would be cut off and most of the interior parts were retained. The frame was strengthened by adding additional runners as well as cross bracing. 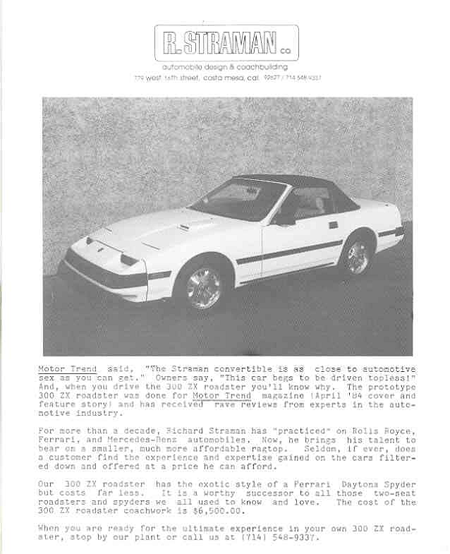 The Prototype that Motortrend had built in 1984 was all steel but the latter models the trunk is made of layers of fiberglass as the steel was too heavy. 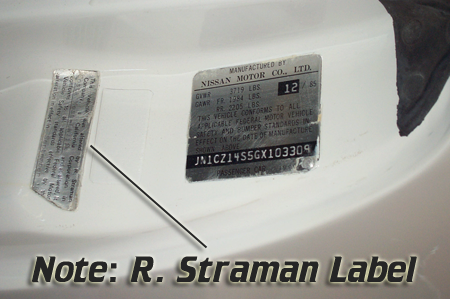 From the 1986 model year where a high mount brake light was needed, it is sourced from a couple different sources. Because of the rear hatch has been removed, the turbo models lost their original spoilers. Below you will find Pictures and Articles about these rare cars.